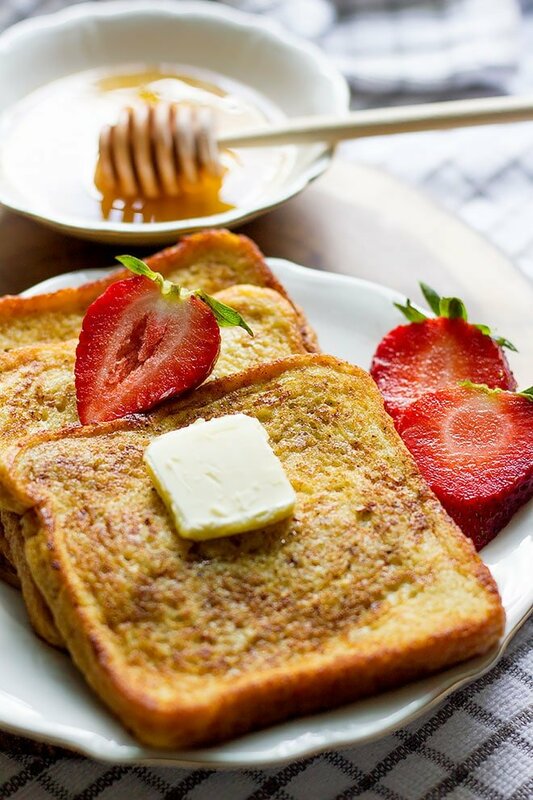 French toast is what my family regularly ask me to make. 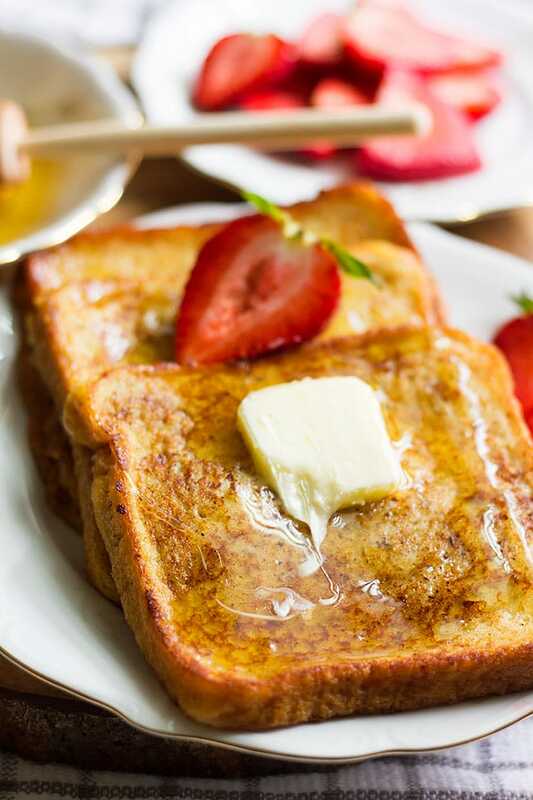 To me, having French toast is like having an early morning treat! 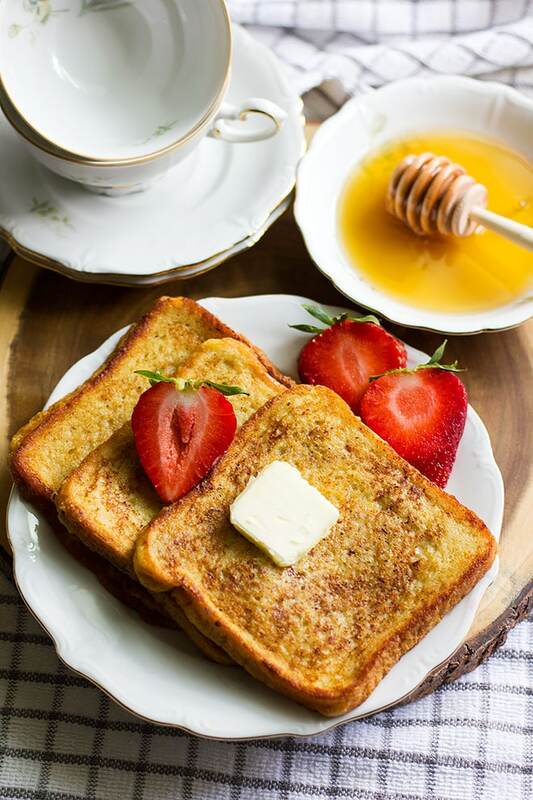 What you should look for in any French toast recipe is the balance between the spices and the main ingredients, milk, and eggs. 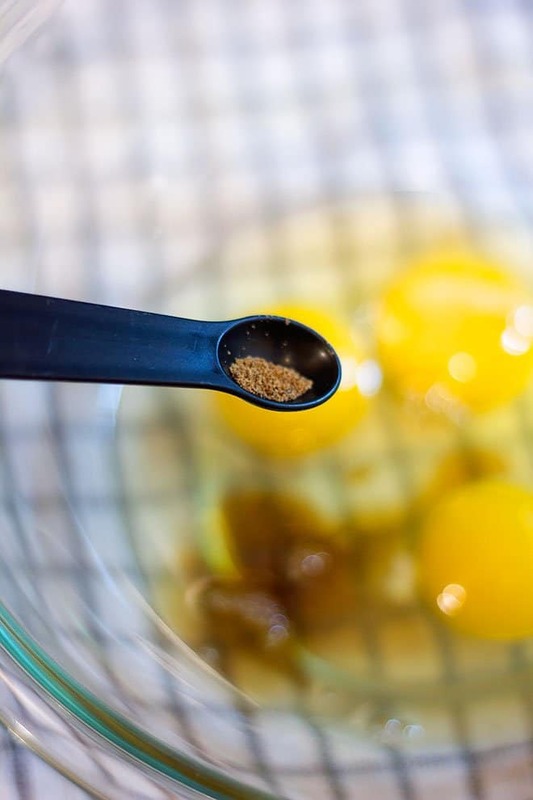 Milk, eggs, cinnamon, and vanilla are the basic ingredients in any French toast recipe, from there you can play with the recipe by adding your favorite spice, maybe mix half milk and half heavy cream, or add orange zest to it. 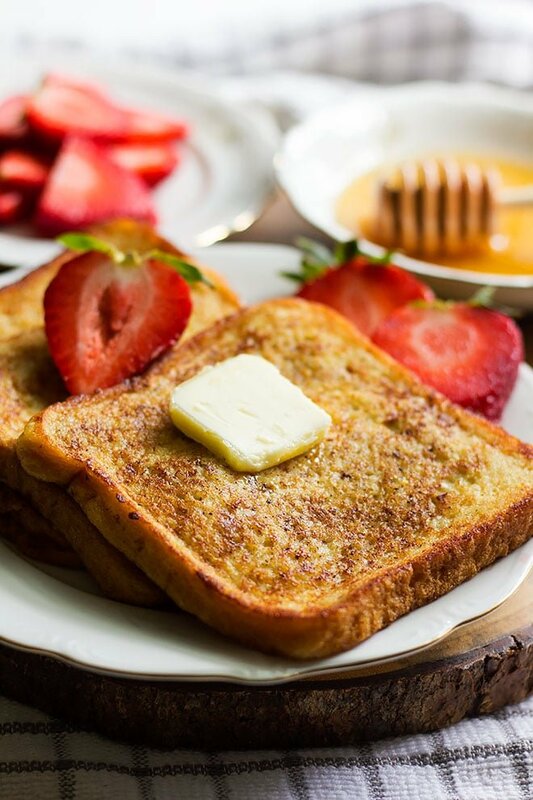 In today’s French toast recipe, you will enjoy the taste of a perfectly cooked French toast with great flavor coming from nutmeg, cinnamon, vanilla, and mind-blowing custard-like texture. I did use store-bought bread, but if you make your bread, please use it instead, nothing beats homemade bread. 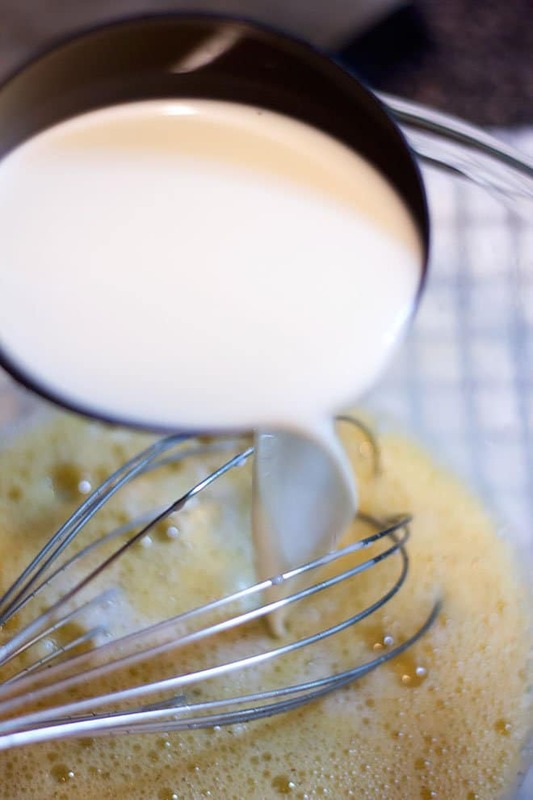 In a bowl, you will add all the custard ingredients, eggs, milk, sugar, vanilla, etc. 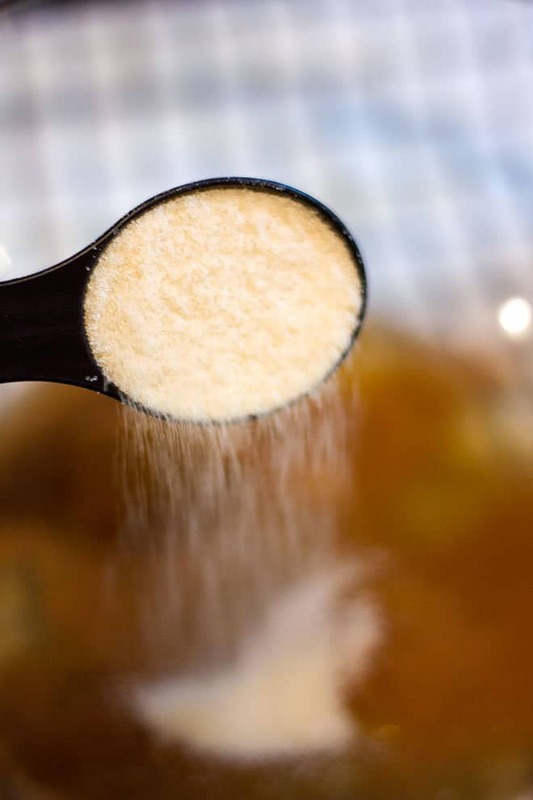 Beat the ingredients well; sometimes the cinnamon powder acts stubborn, so you must beat the mixture a little longer. Dip the bread slice for three seconds in the custard mixture and then fry on medium-low heat until golden. 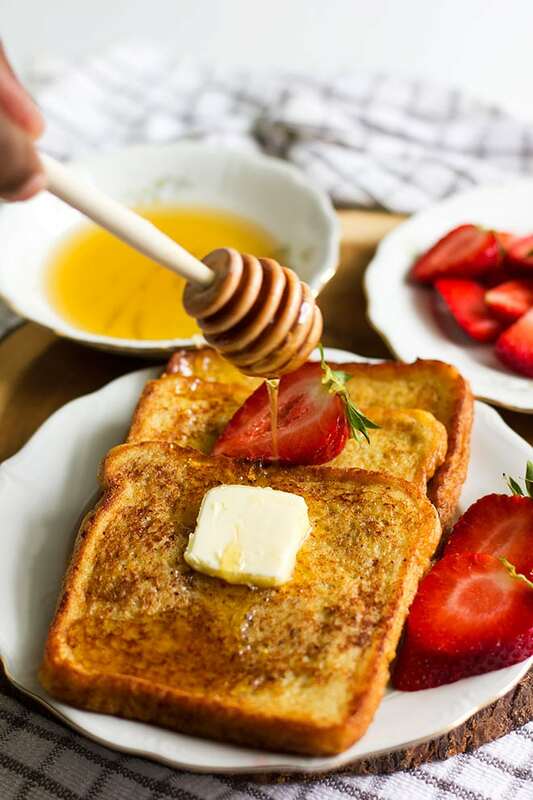 French toast is delicate, and you must give it time to cook evenly and slowly on each side to prevent it from burning from the outside and staying raw inside. 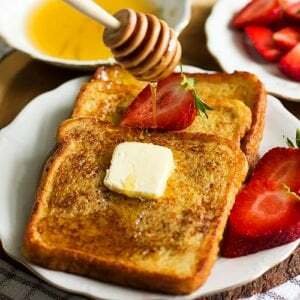 What Bread To Use For French Toast? 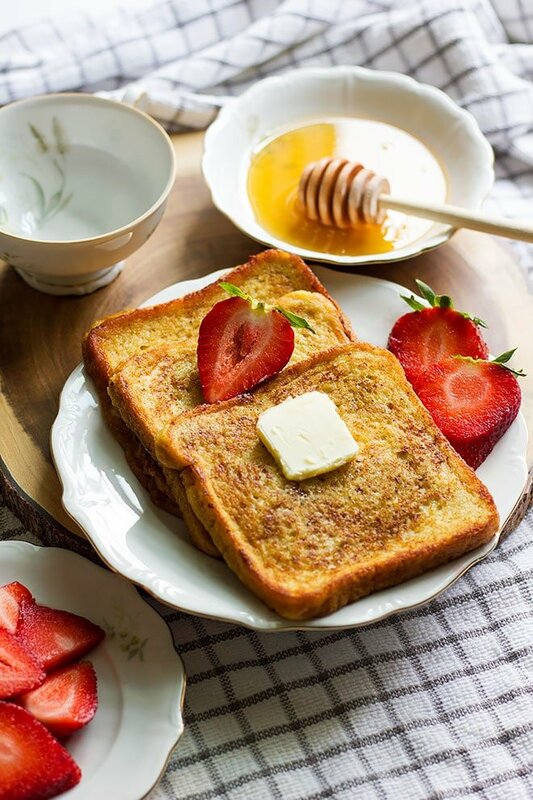 My favorite is Brioche; you will go crazy if you use it in making French toast. Brioche is a rich bread made from eggs and butter, so you can imagine the amount of deliciousness you’ll be indulging in! My second favorite is multigrain brown bread. You get a little crunch from the nuts in the bread, and besides, I like how multigrain bread tastes. 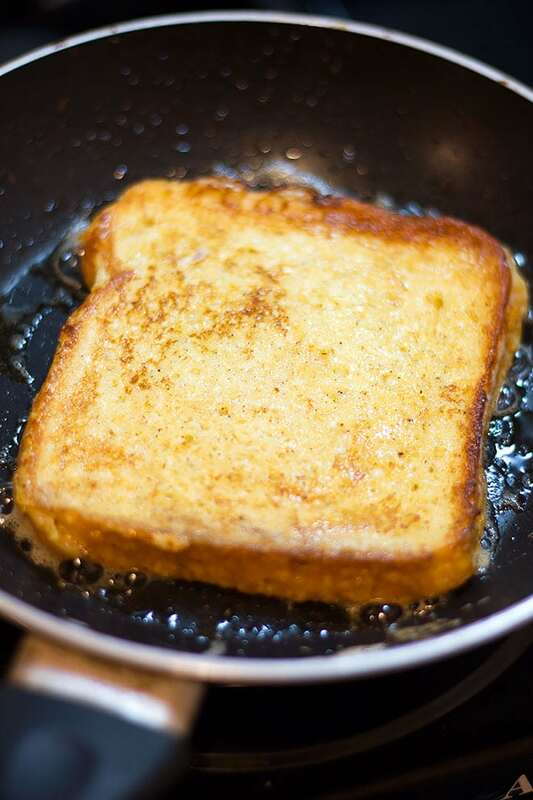 In all honesty, I have used other types of bread that went well in making French toast recipe but avoid bread that has much salt or has flavors like olives, or onions. 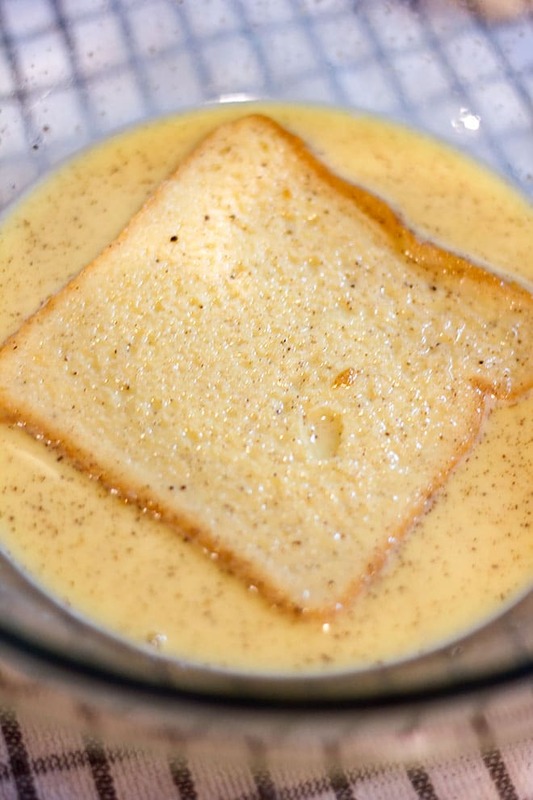 Slices of bread dipped in a delicious custard mixture and then fried to perfection. 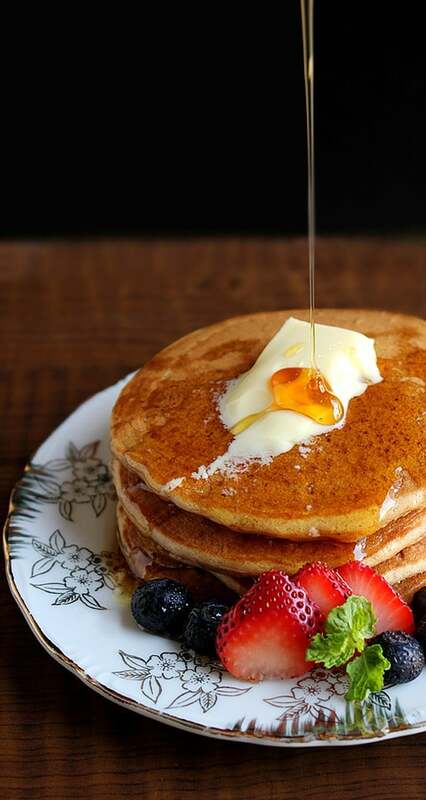 Serve with butter and honey or even maple syrup. 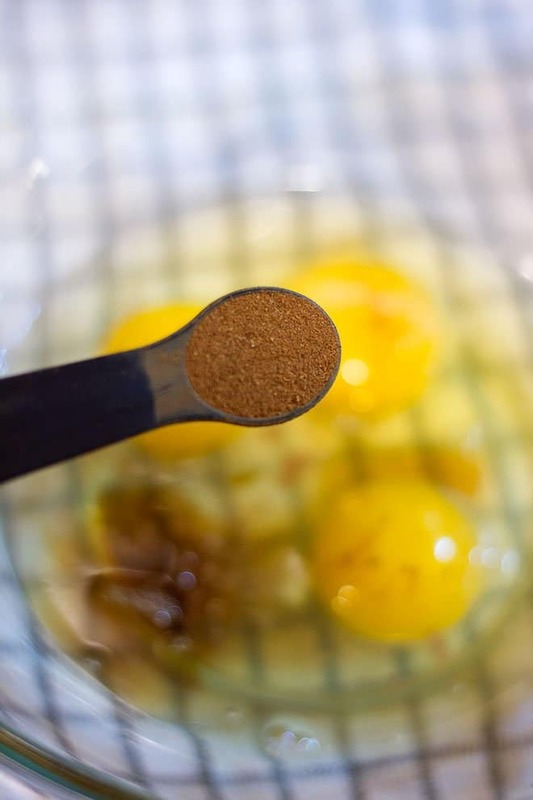 In a bowl, beat the eggs, cinnamon, nutmeg, vanilla, and milk until well combined. Place a shallow pan on the stove and when hot add butter. Dip the bread slices in the custard mixture for few seconds and place in the pan. Fry on medium low until golden at the bottom. Flip and cook the other side until golden. Repeat with all slices. 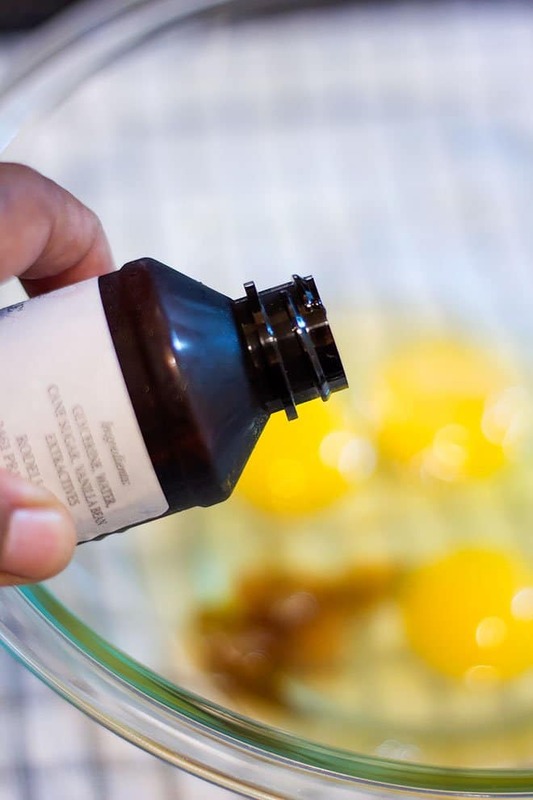 Do not fry French toast on high heat, the slices will turn dark brown, and the custard won’t be cooked. 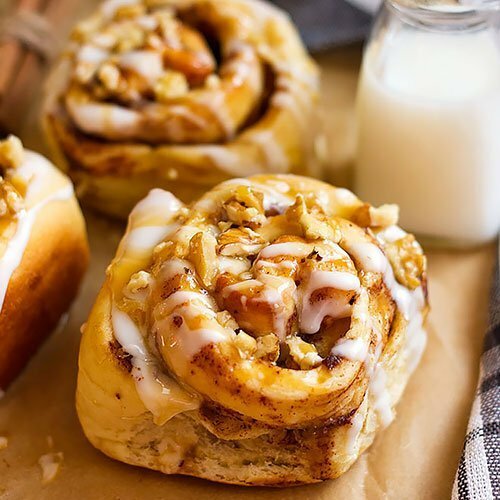 So simple, but always a delicious classic! Now I want some French toast!